Comment: leak is where a garage roof meets the house's roof. It of course needs to be repaired, along with some minor drywall in kitchen (under leak), perhaps a small piece of plywood where leak occurred. Some flashing and siding will likely have to be removed and reinstalled, and a length of (new) flashing applied to one side of the roof. I'd like something laid under the shingles to prevent future leaks. I have the appropriate shingles to replace as well as the flashing. Comment: I would like to get an estimate for has a leak in the roof. had an extension put in and the leak has been there since. 2 storys. shingle roof. Comment: need some tiles replaced She wants an estimate for the repair and does not want a roof replacement. Comment: Rip off shingles and replace with New Shingles. Clear yard of all shingles and nails. Memphis Roofing Contractors are rated 4.65 out of 5 based on 528 reviews of 51 pros. 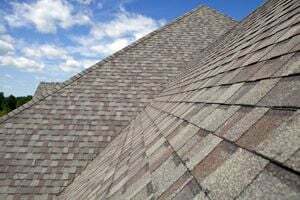 Not Looking for Roofing Contractors in Memphis, TN?